Our aim is to save and protect Manning's Pit. 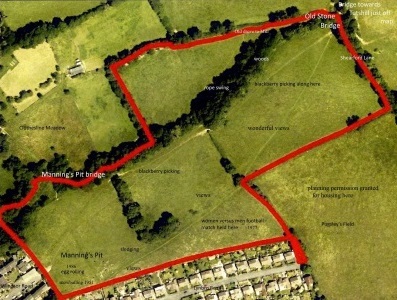 By Manning's Pit, we mean the area of land that was described as Lot 2 (Land at Windsor Road) and was purchased by Summix Ltd at the auction on 27th October 2015. See map below, the land concerned is outlined in red. The Friends of Manning's Pit group have a single focus and do not oppose building applications anywhere else. Members can of course oppose any other application as a personal matter, but they must not do this using the name of our group – unless the group's policy on this matter changes. No personal, inflammatory or defamatory attacks on any person or any organisation are to be made in the name of the group. 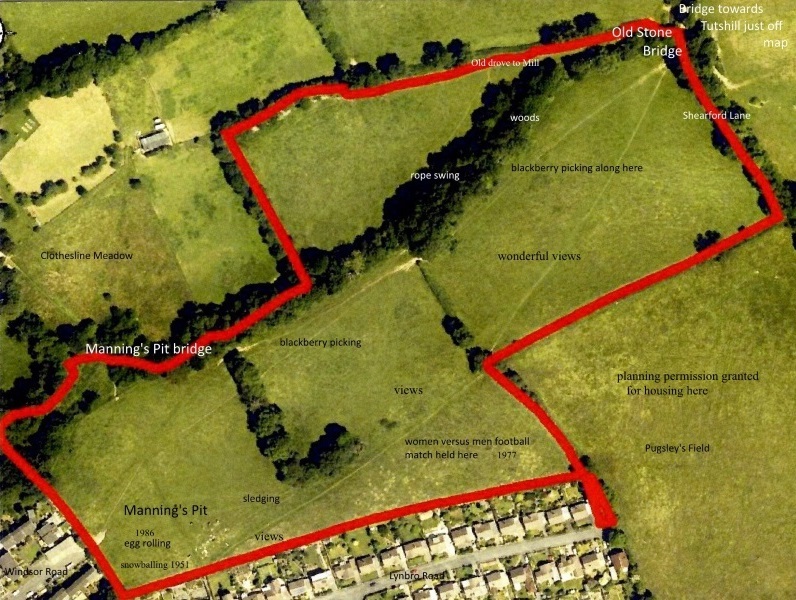 The land that adjoins the Manning's Pit fields must be treated with respect by all our members. This adjacent land (which leads on to Tutshill Woods) is regarded by most locals as being a part of the wider Manning's Pit area, but is privately owned by a local farmer. Equally, of course, the fact that the Manning's Pit fields are owned at present by speculators in no way lessens the respect due to the land, the wildlife or any farm animals within the fields.